Acclaimed Canadian aviation photographer Rich Hulina has published his second volume of images and aimed his lens at some of the most beloved airframes in service today. Hulina sought out the operators of rare and vintage aircraft for Bush Flying Captured and the cover features two Beech 18s on floats shot near Nestor Falls, Ontario. 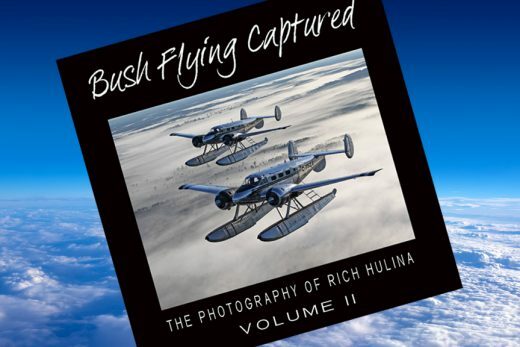 Hulina told the CBC that his love of photography has gone hand-in-hand with his passion for aviation throughout his career as a bush plane operator in Sioux Lookout and he traveled all over North America for the 250 images in this volume. “For this one, I’ve gone to specific companies with rare airplanes,” he told the network. Hulina grew up hanging around the docks in Ignace, Ontario and shot his first pictures with a Kodak disc camera. He pursued bush flying as a career and recently semi-retired after being part owner of Slate Falls Airways for the past 14 years. The new book was released in October and is selling well. It’s available at bushflyingcaptured.com.